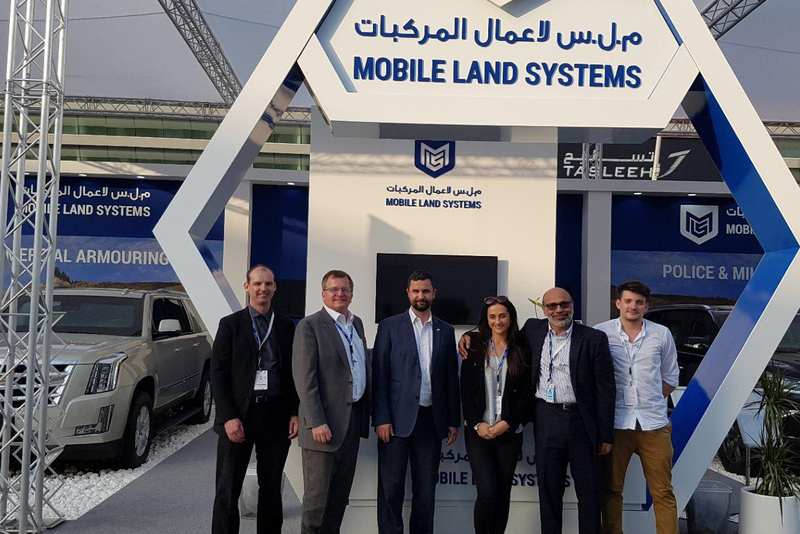 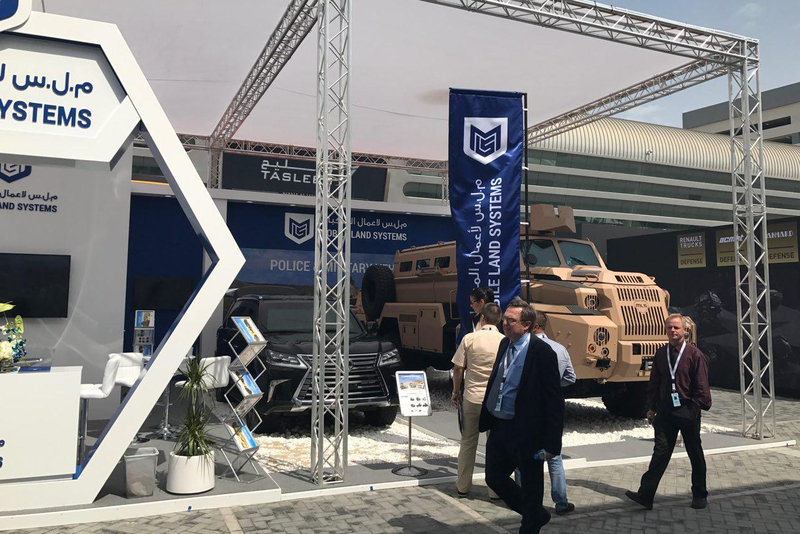 Mobile Land Systems were delighted to show 4 of our range of armoured vehicles during the Abu Dhabi IDEX show in February 2017. 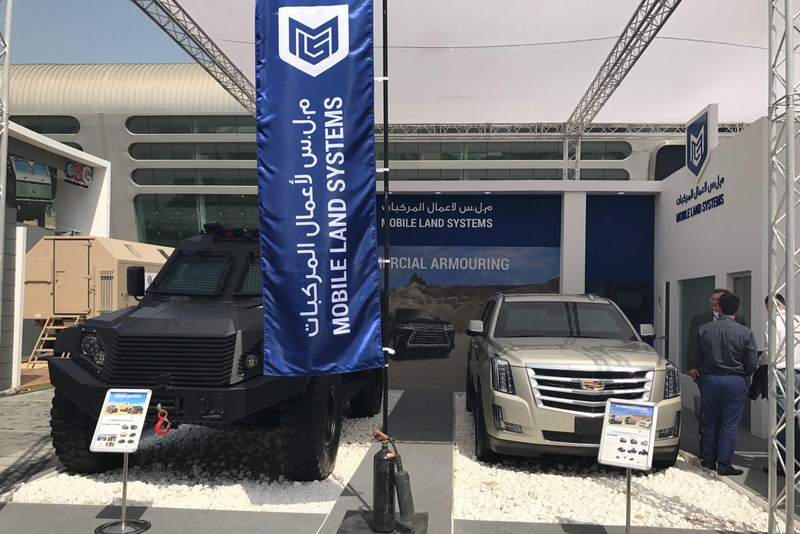 The stand included the B7 Lexus LX 570 and Cadillac Escalade from our commercial armouring range. 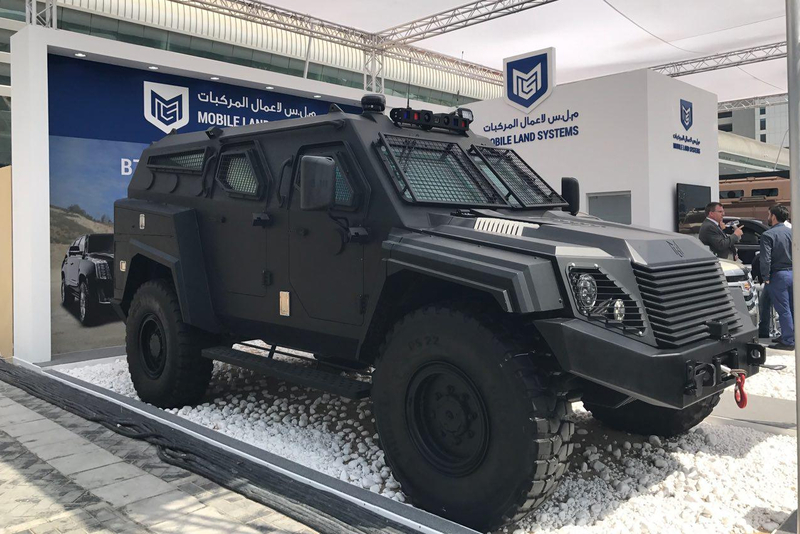 The Lexus featured the low profile roof weapon mount for light machine guns that when not in use cannot be detected. 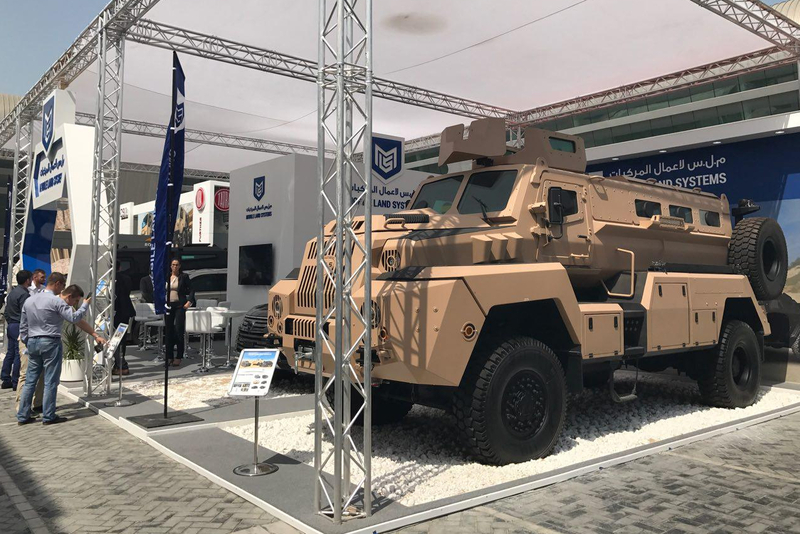 From the Police and Military range of vehicles the stand included the Shield APC (Dark blue APC in images) and the Caprivi MRAP (Desert coloured in images).